After the popularity of my original ghosting images from my Around the Hat series, it was only a matter of time before I gave it another go. 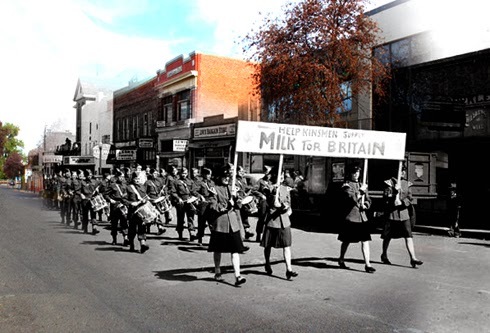 Using archival images from my hometown of Medicine Hat, Alberta as inspiration, I set out to photograph these locations in 2013 from the same vantage points as their archival counterparts. 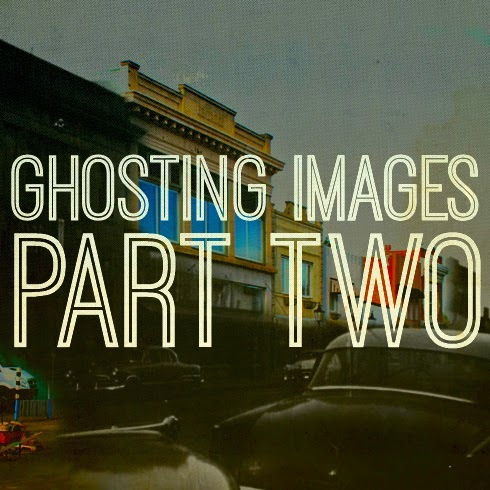 By ghosting archival images the history is immediately made more dramatic. 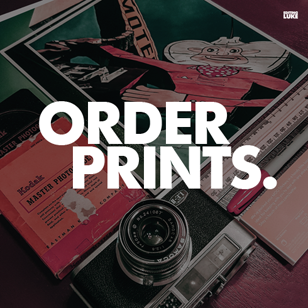 Specific changes become easy to recognize with a ghosted image creating a bridge between substantial periods of time. 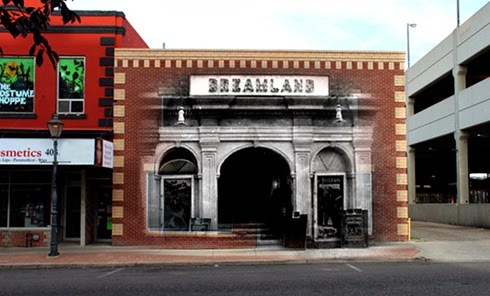 It's a really unique way of looking at a place like Medicine Hat, especially because it's a perspective that's seldom explored in this city. 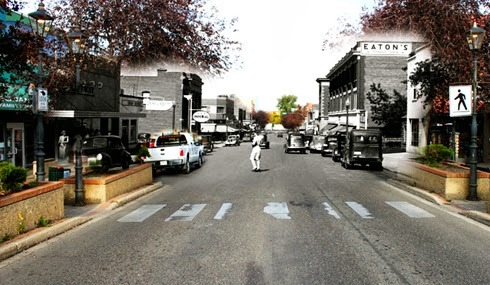 This scene shows the width of the street before the crosswalk flowerbeds had been installed - notice the car and modern truck on the left. 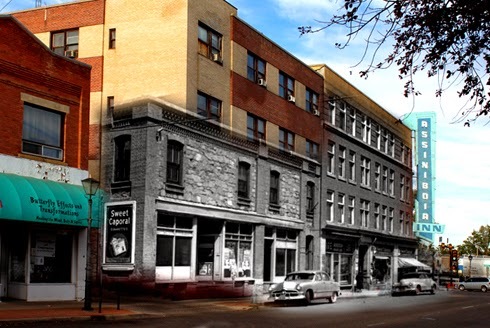 Here we have the pre-renovation hotel buildings merged with the current Assiniboia. The interesting thing is that this scene spans the time just before the hotel and with it as an abandoned location now. 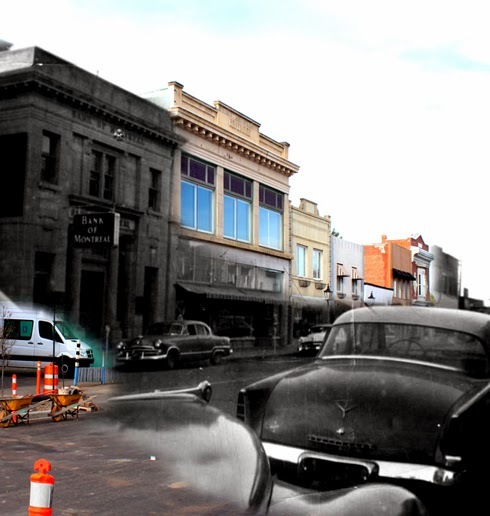 This scene shows the construction of the new bank following the demolition of the original post office. 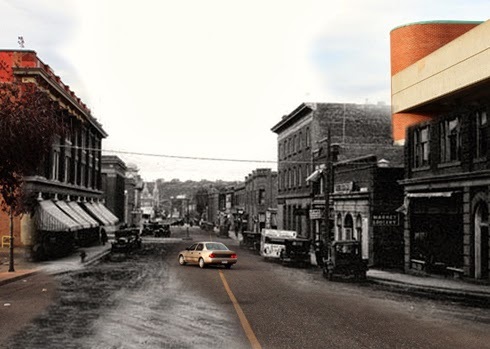 You can see the original Bank of Montreal building (now gone) on the right. I loved creating this ghosted image. 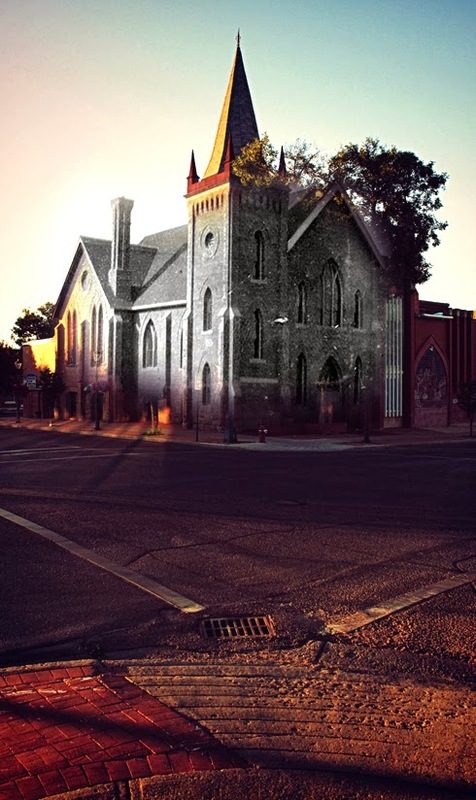 Here we see the framework of the church merged with the grown in trees and complete structure just over a century later. 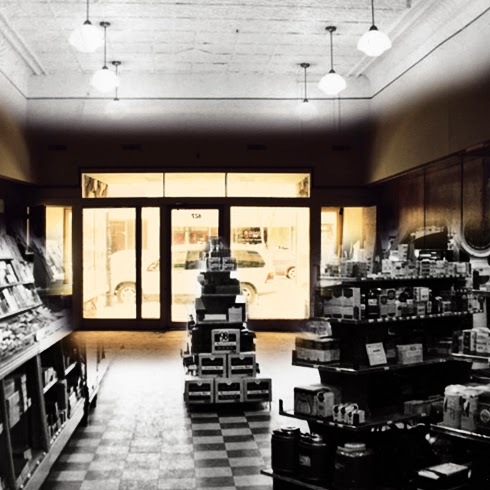 The vacant storefront is merged with the original Pingle's interior here. A drop ceiling now covers the original tin ceiling seen here. 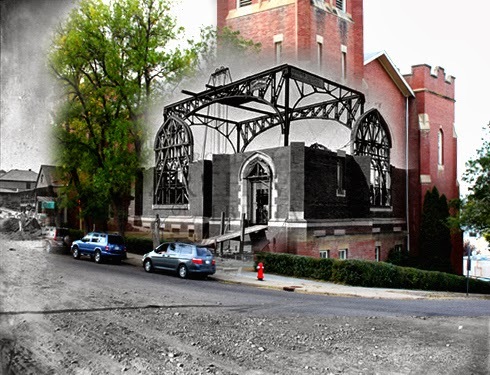 This ghosted image shows the original entrance to St. John's that was covered during a mid-century renovation and expansion. The chimney on the left is also no longer there. 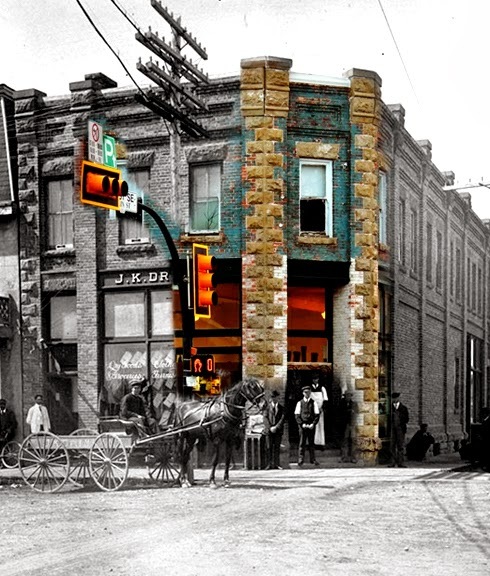 The contrast of the traffic light with the horse and buggy emphasizes the span of time. Also, the unpainted brick in 1905 with the modern day stripped paint shows just how many layers there have been over the decades. 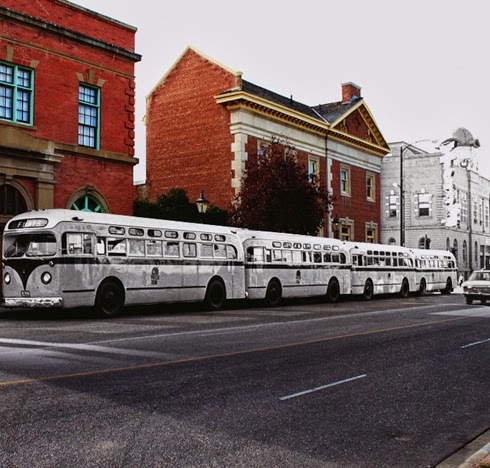 The vintage buses are pretty cool, but this scene is made even more memorable by the ghosted city hall in the background which is no longer there. 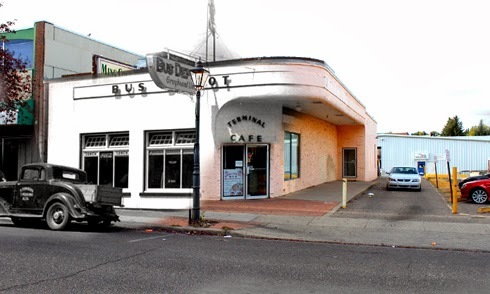 Today this building is the Ming Court restaurant, but this ghosted image shows that this art deco design was originally for the city's bus depot. It has been decades since the train station has seen a crowd like this. 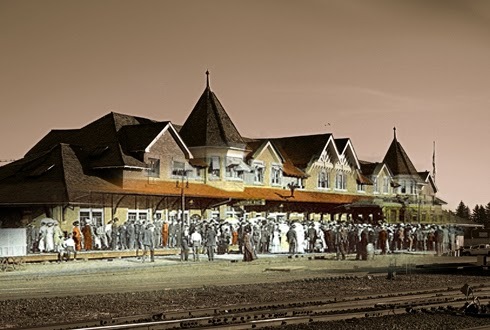 Here we have a vintage postcard merged with the modern station. 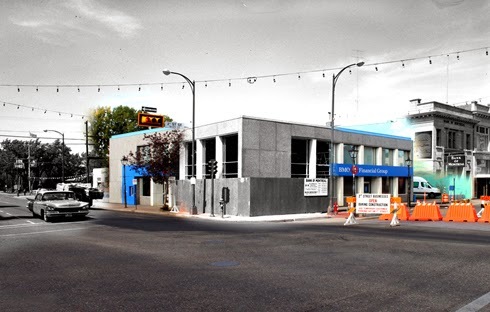 This unassuming building next to the modern parkade used to house one of Medicine Hat's movie theatres. Here we see the original facade merged with the modern one. This building once featured a beautiful art deco facade. Here we see some of the new sidings merged with this vintage street scene. Most notable in this ghosted image is the loss of the original Bank of Montreal building after the new bank was constructed. Here we have a WW2 rally merged with the modern street. 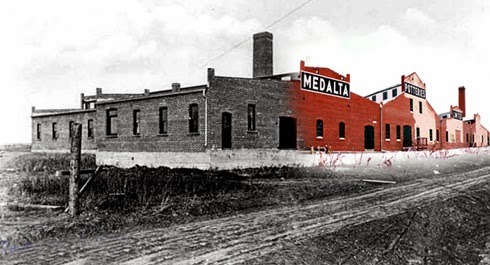 This scene shows the current facades of Medalta merged with the factory while it was under construction. 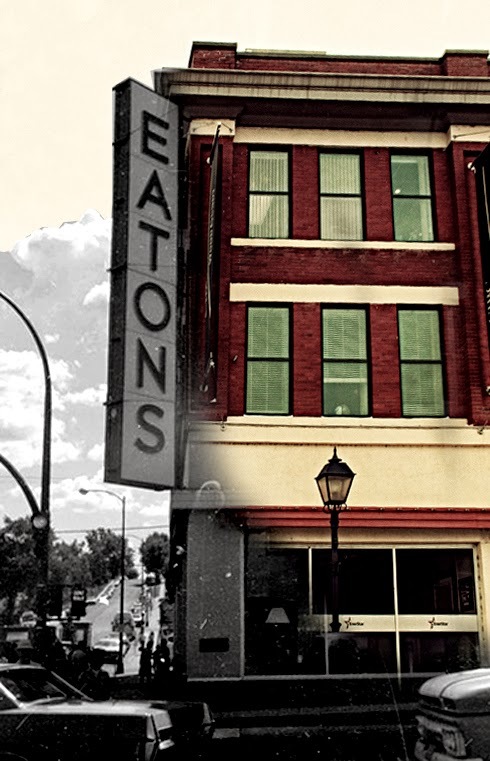 Here we have the corner of Gaslight Plaza merged with the vintage Eatons sign that no longer hangs there. 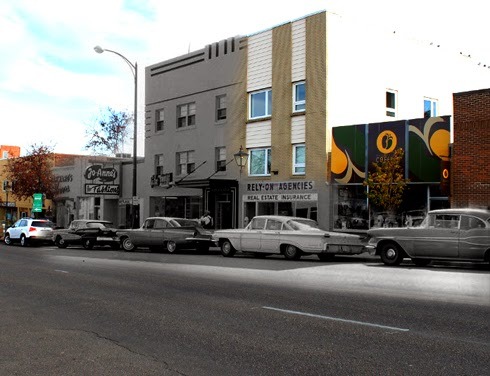 Here's a glimpse at how vibrant the downtown once was. Notice the storefront canopies on the left and the Dreamland Theatre on the right.